The AL006 Corner Recliner Suite offers 2 dual recliners, plush cushioning and ample proportions that make for comfortable seating. This showcases clean, modern lines and padded arms. The contemporary design, generous seating and unique appeal emphasise proportion and functionality. 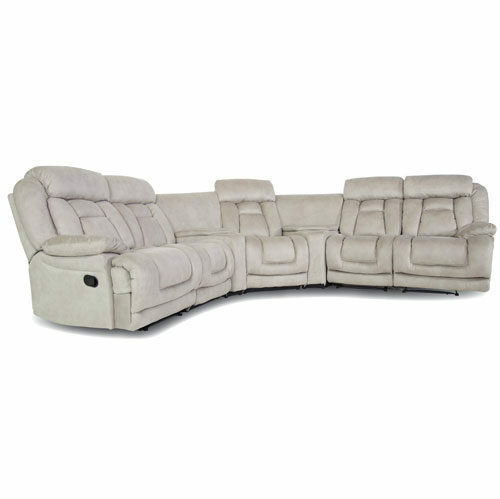 Simple, yet stylish glider reclining sofa for today’s family wrapped in a durable, easy to clean Eco-leather air fabric.